Come along to this free event to celebrate, share and taste food grown and produced in the local area. Coordinated by 3000acres, Boroondara's Harvest Celebration will include workshops, live music, face painting and a delicious picnic. 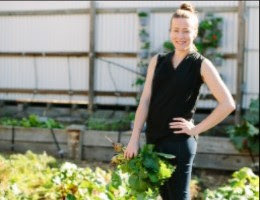 This free picnic aims to be catered with donations of fresh produce from growers across Boroondara and prepared by top chefs from FareShare on the day. If you, or someone you know, grows fruit or veggies and is willing to donate produce, please contactcarlos@3000acres.org.